Civil asset forfeiture is the latest dangerous from the Trump administration. The new rule announced by the Justice Department won't just expand the practice. It's designed specifically to defeat protections passed at the state level. It will almost certainly lead to abuse. As reported by the Washington Post: "The Justice Department announced a new federal policy Wednesday to help state and local police take cash and property from people suspected of a crime, even without a criminal charge, reversing an Obama administration rule prompted by past abuse by police." The practice is known as civil asset forfeiture. Under this law a police officer can seize any property he believes was involved in a crime without obtaining either a warrant or probable cause. Originally, the government pushed forfeiture in the 1970s and 80s to fight drugs and organized crime. Law enforcement wanted to prevent criminals from disappearing the large amounts of cash that fuels their business, and so police were empowered to seize any money they believed was involved in a crime. Over the years, however, the practice has grown to the point where the government began seizing assets far beyond cash in a wide variety of situations, including cars, homes and even businesses. Many local police departments have begun to rely on it as a revenue source, targeting out of town drivers in what are known as "cash-for-freedom" deals. On average, only about one seizure in ten ever leads to criminal charges, but historically, defendants have struggled to get any of their money or property back. One investigation by the Washington Post found that between 2001 and 2014, state and local police departments had seized nearly $2.5 billion in collective assets without warrants. Often these seizures occur during unrelated traffic stops, during which the Post found that police "pressed [drivers] to agree to searches without warrants and seized large amounts of cash when there was no evidence of wrongdoing." As a result of issues like these the Obama administration cracked down on the practice. In 2015 then-Attorney General Eric Holder passed new rules restricting the use of asset forfeiture and sharply limiting the federal government's support for it. The Justice Department's announcement on Wednesday reversed that decision. Specifically, the new policy will allow what's called "adoptive seizure." Under this law, state and local police can transfer seized property to federal officials who process it under federal laws and guidelines. 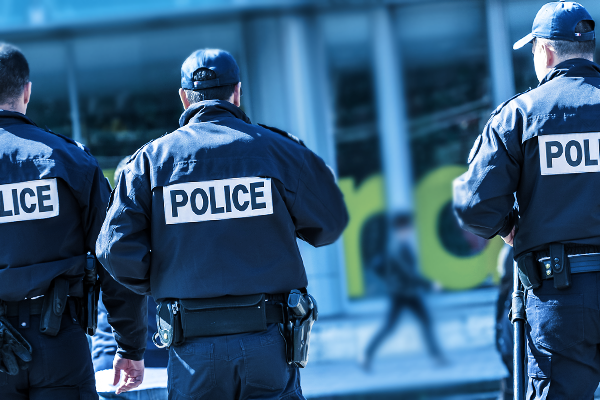 Billed as a way to increase federal-state cooperation, adoptive seizure allows local police departments to circumvent state laws that might restrict asset forfeiture. Given that over the past several years 24 states have increased the protections against asset forfeiture, with 14 going so far as to require a criminal conviction, many experts are worried about the effect that a return to adoptive seizure might have. "What this policy means is that law enforcement officers in states with these greater protections can circumvent state protections by instead seeking forfeiture under federal law," said Robert Johnson, an attorney with the Institute for Justice. "So imagine you're driving through a state that requires a criminal conviction to forfeit property and you're carrying cash, and it's sized by a law enforcement officer. Under state law the law enforcement officers would have to go to court and convict you of a crime to seize that property." But, he said ,"under federal law the fact that someone has a large amount of cash is itself enough to give rise to suspicion that there was a crime which gives rise to a forfeiture of property, and you have to prove your own innocence to recover the money." Police abuse of civil asset forfeiture is a well-documented problem, with that same Washington Post investigation finding that departments often spend the proceeds "with little oversight… In some cases, the police bought luxury cars, high-powered weapons and armored cars." It should surprise no one that under more permissive standards police aggressively seize assets regardless of actual wrongdoing. Departments get to keep the property they seize. As a result, as noted above, many communities came to rely on civil forfeiture as a revenue source and police and prosecutors have historically fought hard to keep seized assets regardless of actual charges brought against the individual. "As a practical matter there are very few limits on this," Johnson said. "The government doesn't need to prove that the owner committed a crime, it just has to prove that the property is connected to a crime. So you end up with a case like the Motel Caswell in Massachusetts, not because the owner committed a crime, but because guests committed a crime in the privacy of their own room." "Often," he continued, "what the government will do is they'll agree to give half the money back If people enter into settlements to resolve the case, so then you have a choice. Do you take the settlement agreement, or do you enter into a long, drawn-out proceeding paying a lawyer all the while." Historically, when faced with asset forfeiture, most individuals settle with prosecutors out of court, recovering a portion of what was taken but not all. And adoptive seizure has played a huge role in this process. In the seven-year period leading up to the Obama-era ban, a span covering 2007 to 2014, police departments used it to seize over $880 million in assets. There is good reason to believe that it will play an even larger role going forward given that state laws have only grown more restrictive since then. As a result of these new protections, police departments will have to increasingly rely on federal law to seize and retain assets. Wednesday's announcement opens the door for them to do so. The most striking thing about this decision by the Trump administration is how utterly unnecessary it is. Bringing back widespread asset forfeiture doesn't solve any problems. Aside from a handful of police departments eager to spend someone else's money, there's no constituency clamoring for a return to this practice and no evidence that restricting asset forfeiture has made it more difficult to pursue and prosecute crimes. Instead this is the administration resurrecting an unpopular, amoral and Constitutionally dubious practice. The theory of civil forfeiture was understandable, an effort to keep criminals from moving highly fungible assets before police could stop them. In practice, however, it got out of hand, tempting police departments with free money and encouraging prosecutors to rob citizens under the color of law. States and the Obama Justice Department cracked down on the practice because it grew quasi-criminal. That's Trump administration's move leaves room for those abuses to continue.